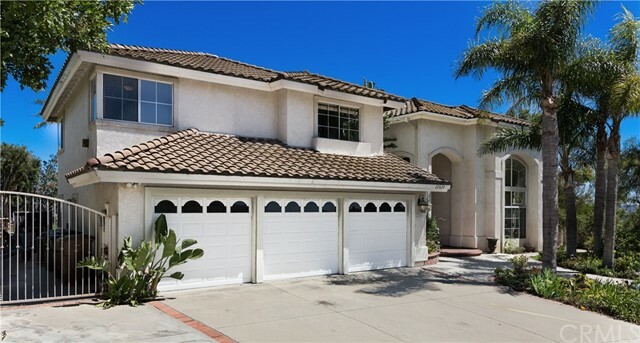 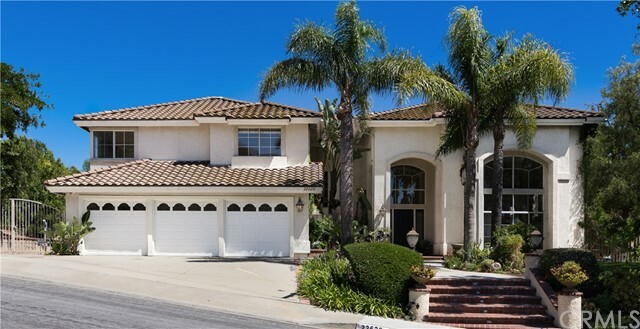 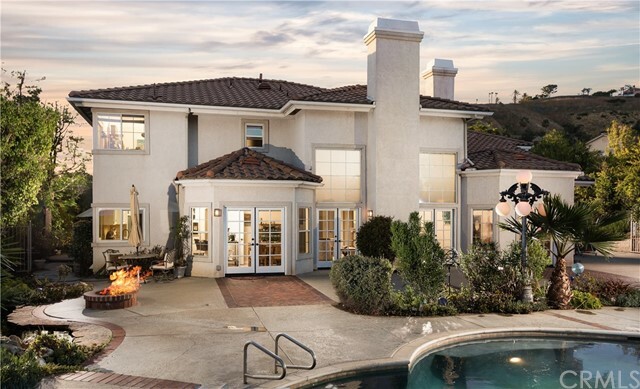 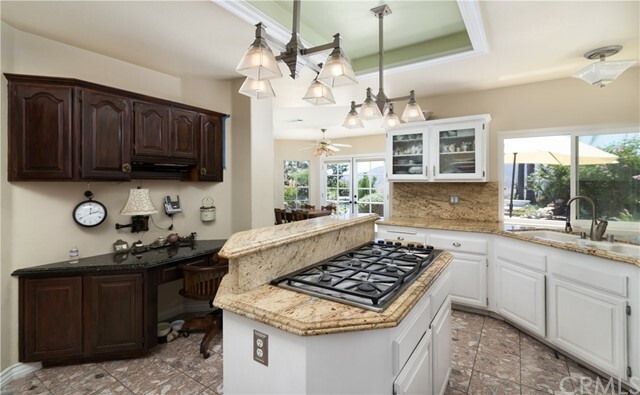 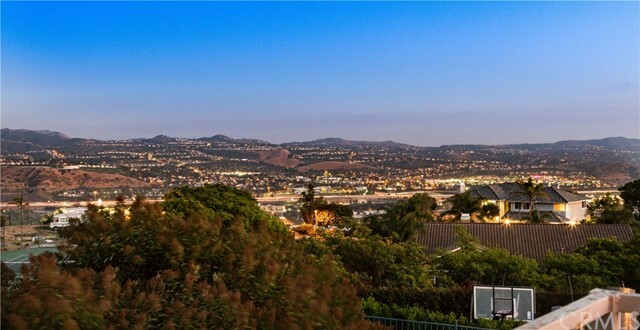 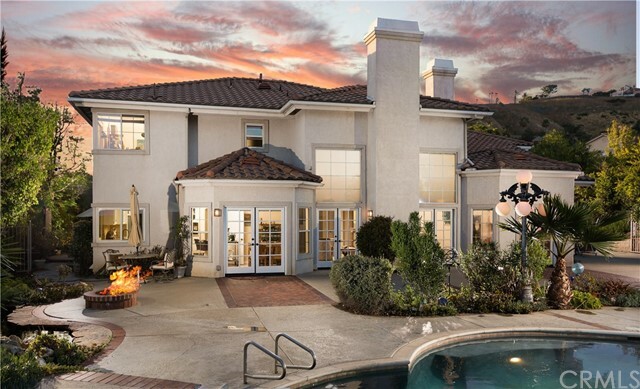 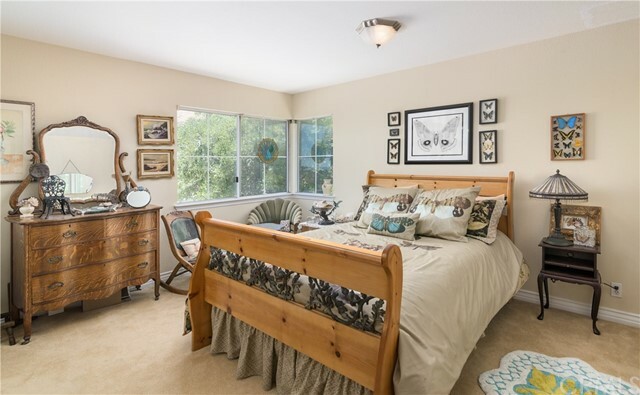 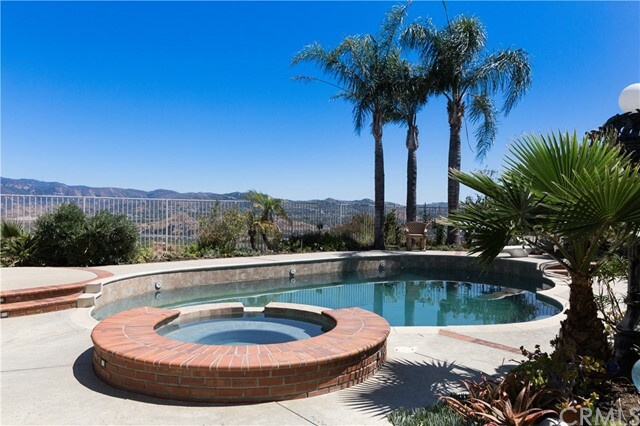 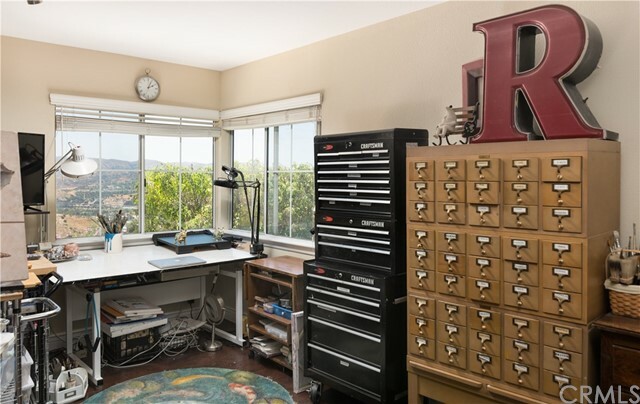 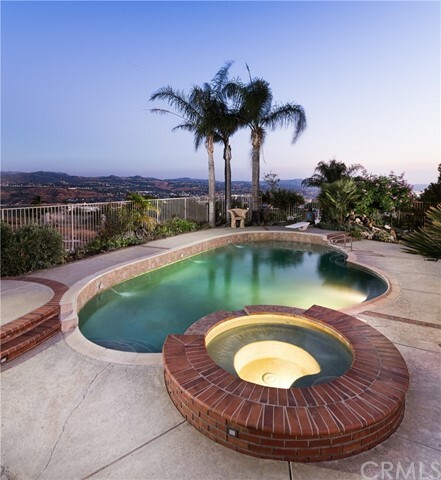 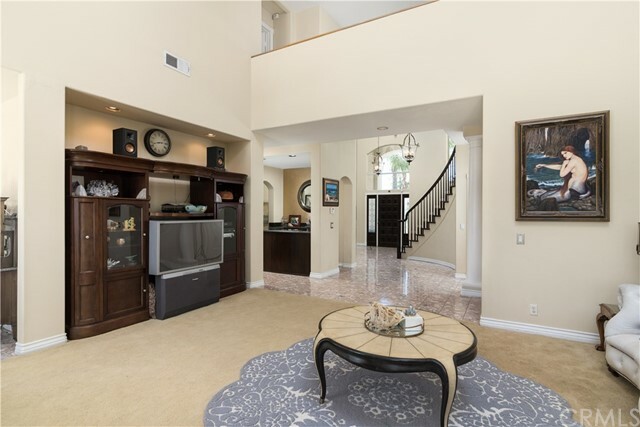 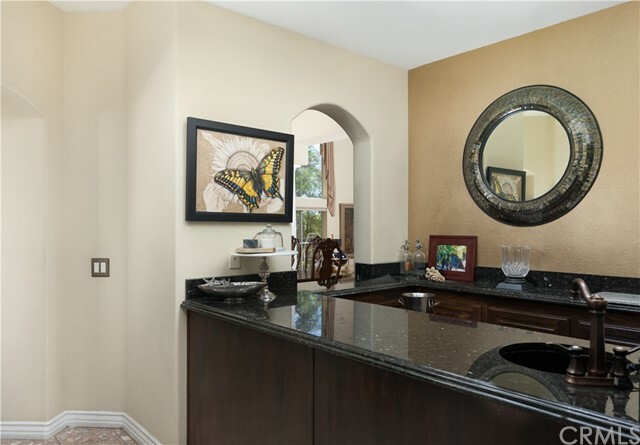 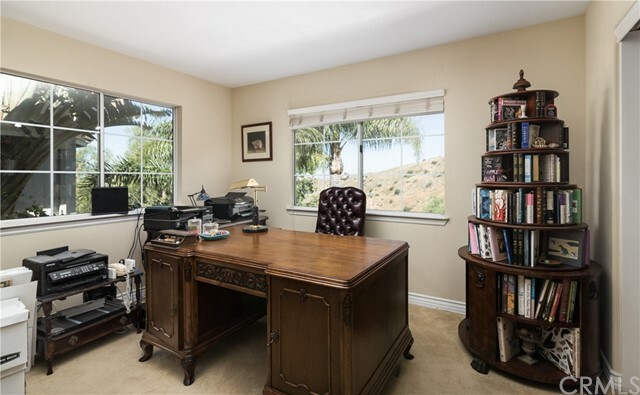 The exclusive Hidden Canyon neighborhood of Bryant Ranch in Yorba Linda is home to this spectacular residence boasting panoramic views of hills and lights, exceptional upgrades and openly dramatic living areas. 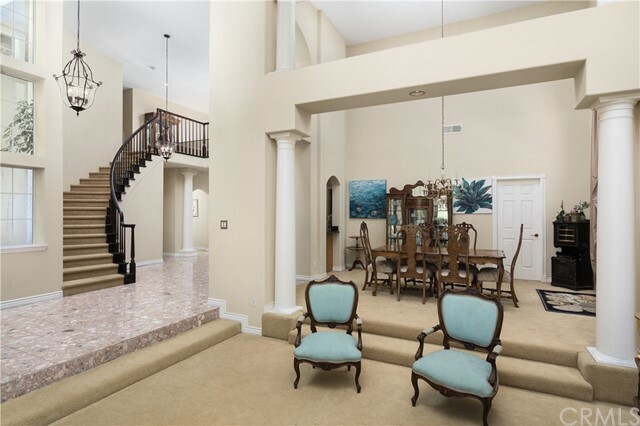 Mediterranean influences abound from the property’s curbside approach, to its highly upgraded interior where distinctive columns, voluminous ceilings and floor to ceiling windows capture nature’s unspoiled beauty. 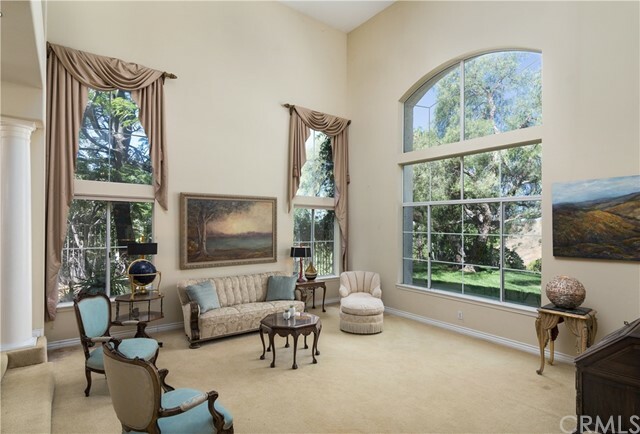 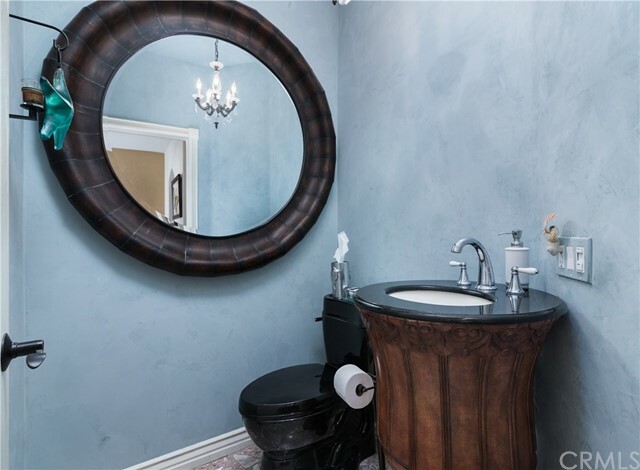 Encompassing approximately 4,094 square feet, the home has 5BR & 4BA including two master suites - one with fireplace, sitting area, French doors opening to the resort style backyard and lavish bathroom featuring his and her sinks, walk-in closet, spa tub and separate shower. 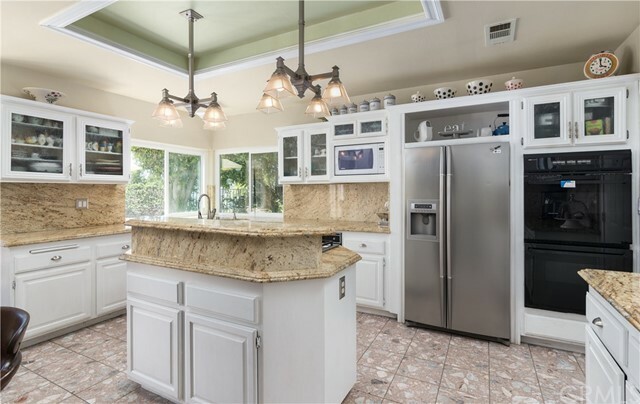 A gourmet style kitchen with center island cooktop, walk-in pantry, raised panel & glass front cabinets and granite countertops adjoins a sunny breakfast room with ceiling fan and adjacent family room with media niche, wet bar and fireplace flanked on two sides by French doors beckoning guests to the entertainer’s yard. 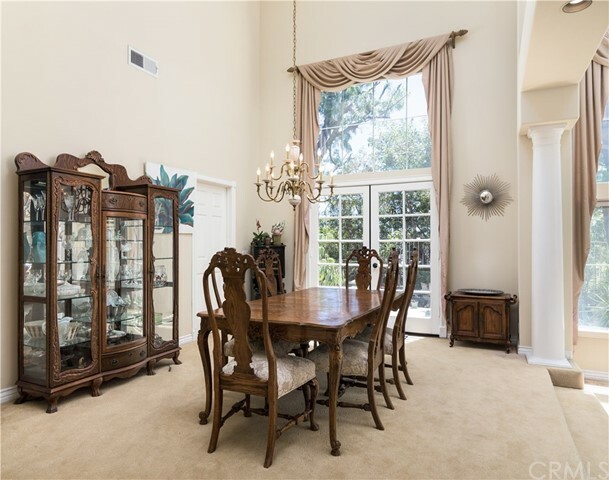 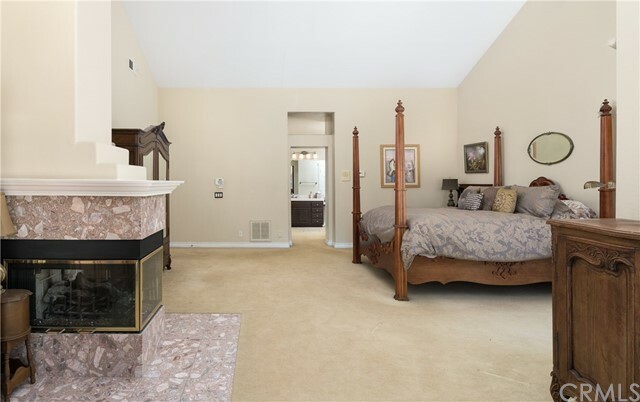 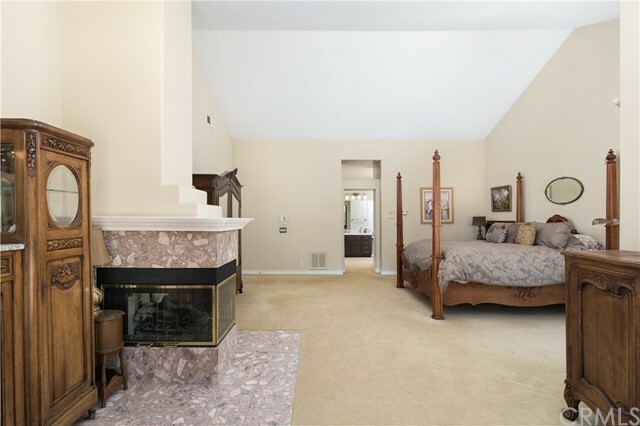 There is also a formal living room and banquet size formal dining room. 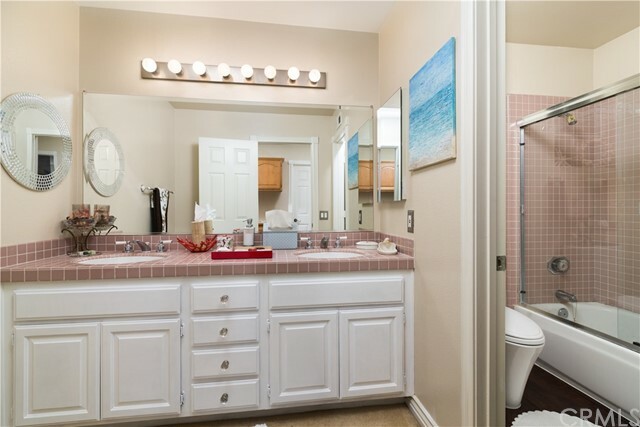 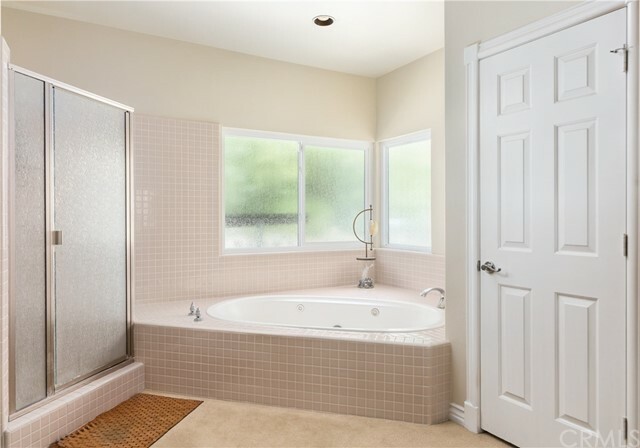 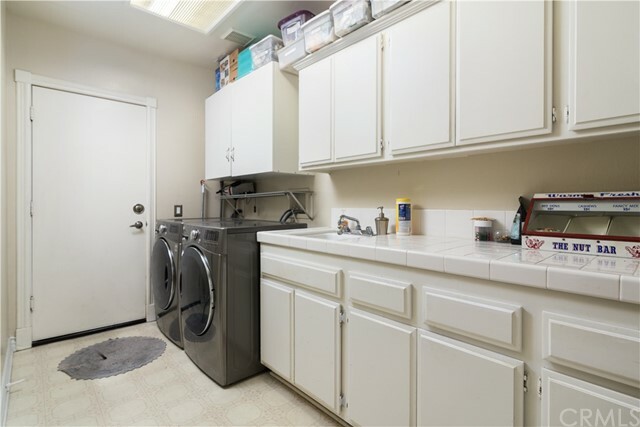 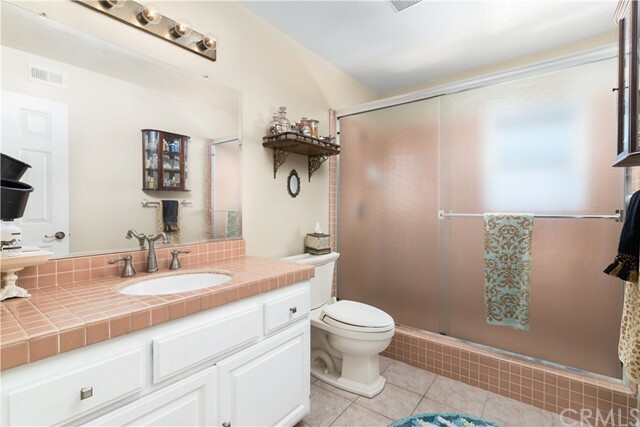 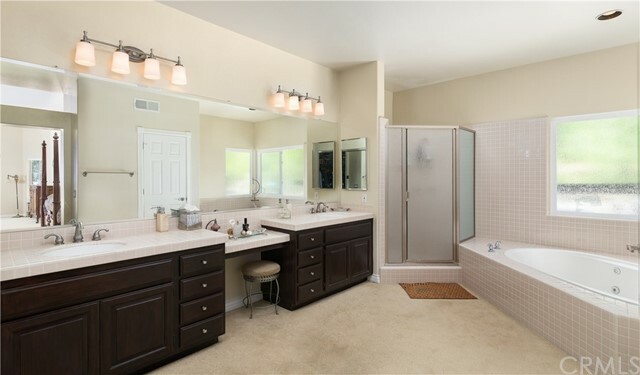 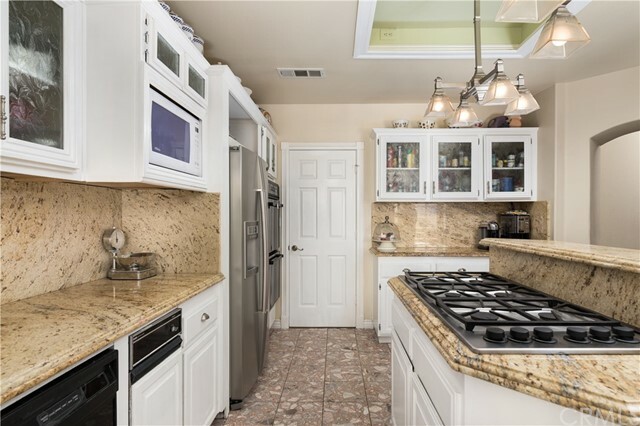 In addition, the home has a huge laundry room, central air and direct access to a finished three car garage with roll up doors. 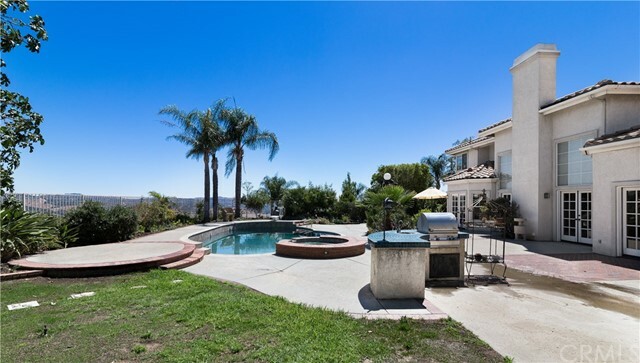 Mature palm trees and other lush landscaping create a picture perfect backyard setting, while a sparkling gray bottom salt water pool with raised spa, built-in BBQ, authentic Koi pond, open air patios and canyon views make it ideal for year round recreation & entertaining.